A federal judge ruled last week that a lawsuit aimed at the violent surf localism allegedly perpetuated by a group of Palos Verdes Estates surfers, known as the Lunada Bay Boys, does not meet the legal standards required for a class action suit. Bob Cooper, an attorney representing Brant Blakeman, one of the nine men, who the lawsuit names as members of the Lunada Bay Boys, suggested the ruling all but destroys the case. But Victor Otten, one of the attorneys who filed the complaint on behalf of plaintiffs Cory Spencer, Diana Milena Reed, and the Coastal Protection Rangers, said that the ruling did nothing to damage the merits of the case itself. Otten said he and other lawyers on the case are evaluating whether to appeal Otero’s ruling, but noted that a seperate class action case has also been filed in state courts, arguing that the Lunada Bay Boys are violating the California Coastal Act by restricting beach access to the public. The lawsuit was filed on March 29, 2016 in what Judge Otero playfully describes at the outset of his ruling as “Riding the wave of the Point Break remake,” initiated by plaintiffs “alleging they and other would-be beach goers have been unlawfully excluded from parks, beaches, and ocean access at Palos Verdes Estates….through threats, intimidation, and violence.” The complaint also names the City of PVE and Chief of Police Jeff Kepley for allegedly failing to intervene to stop localism practices that include physical violence both in the water on the trails at Lunada Bay, verbal intimidation, as well as vandalism to vehicles. In frequently strong language, Otero rejects the class action on three of the four legal requirements for such suits, and most crucially attacks an expert witness’ methodology and assessment of how many people are potentially affected by localism practices. Dr. Philip King, a professor from San Francisco State University specializing recreational economics, submitted a declaration on behalf of the plaintiffs in which he used Trestles Beach in North San Diego County as a comparison by which he estimated Lunada Bay would be visited by 20,000 to 25,000 surfers annually rather than the 1,460 to 2,920 current annual estimated surf visits; King uses this number to calculate that the Bay Boys’ tactics of discouraging visits from outsiders have deprived would-be surfers of $50 million worth of enjoyment. Otero didn’t find King’s numbers credible, and particularly questioned the notion that Trestles is visited by 900 surfers daily as “an exceedingly unlikely number at a single beach”; the judge wrote that even if this were true it doesn’t necessarily extrapolate to King’s estimate that 60 to 75 surfers could be expected daily at Lunada were it not for localism, and that each visit is worth $50 to $80 to individual surfers. Otero also fairly scoffed at the number of declarations filed on behalf of the plaintiffs, 22, and invalidated the contents of all but nine of them as being beyond the two- and three-year statutes of limitations applying to the varying allegations contained within the suit. “Plaintiffs, after having the benefits of months of discovery and significant publicity, could only muster 22 declarations from individuals who claim to have been harmed by actions of individuals at Lunada Bay over a forty-plus year span,” Otero wrote. Cooper said that by ruling out a class action suit, the judge has in practical terms reduced the case to “a handful of small claims.” He said his client has been partially vindicated after nearly a year of having his name denigrated without cause. The notion of the Bay Boys is itself little more than an urban legend, said Cooper, who is also a Palos Verdes resident. Otten, also a Palos Verdes resident, and a surfer, expressed confidence in the case going forward but also suggested that the larger cause has already been won. 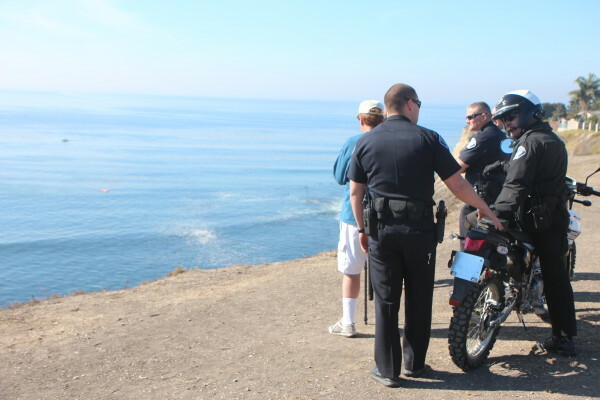 The city removed what was allegedly the Bay Boys’ “fort” a few months ago and he said police appear to be more engaged in preventing localism from closing Lunada Bay to outsiders. He said the class action suit was just one solution that he and another attorney on the case, Kurt Franklin, attempted to apply, since it had not been tried before.